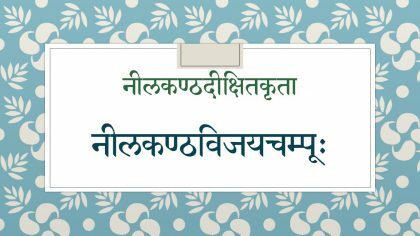 Raghuvaṃśam is one of the five great poems of Samskrita Literature – the पञ्च-महाकाव्यs. Kālidāsa, author of this poem, is justly hailed as ‘Kavikulaguru’ – the foremost among poets. There is none who can escape the charm of Kālidāsa’s poetry. Raghuvaṃśa is one of the masterpieces of Kālidāsa, a mahākavya describing the glorious lineage of the Raghus, starting from Dilīpa till Agnivarṇa. There are very few Samskrita students who do not study portions of this poem at some level. The second sarga, titled ‘Nandinī-varapradāna’ is one of the most popular cantos of the poem. Here, Dilīpa serves Nandinī, the daughter of celestial cow Kāmadhenu, for progeny. 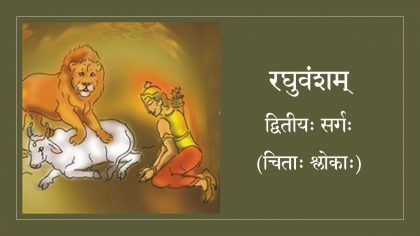 Nandinī tests his devotion by creating an illusion of a lion attacking her, whereby Dilīpa offers himself as a prey to the lion to save the cow. Pleased by his devotion, Nandinī grants him his wish to beget an illustrious son. 22 shlokas from the second sarga have been prescribed for the Kovida examination of Samskrita Bharati. 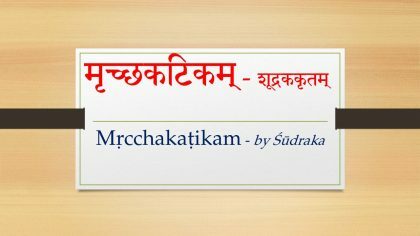 In these audio lectures, Ms. Visalakshi Sankaran, explains the meaning of these shlokas in lucid Tamil, bringing out the charm of Kālidāsa’s words with unmatched simplicity. 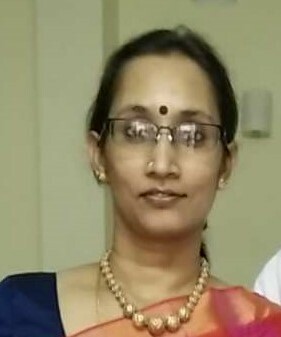 She covers all the basic aspects required for understanding the shlokas, and fills in the blanks in story between selected shlokas aptly. These lectures will be very useful for students preparing for this examination. We thank Ms. Visalakshi Sankaran for permitting Vyoma-Samskṛta-Pāṭhaśālā to share these valuable resources with our students.